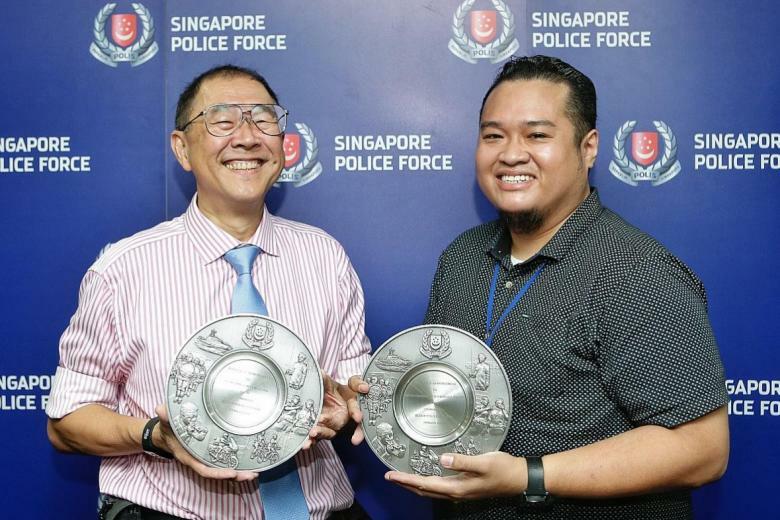 Eight individuals received the Public Spiritedness Award from the Singapore Police Force yesterday for assisting in various cases. Dr Lim, a dental surgeon, restrained a man welding a pair of scissors at Bedok Mall last December, threatening to stab the people around him. Apart from Dr Lim, four other people helped in the arrest of the Bedok Mall suspect. Two were off-duty police officers, while the other two left the scene before they could be identified. 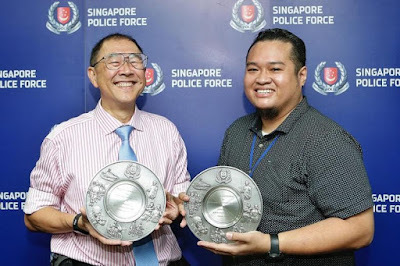 Mr Muhammad Noh Abdul Sukor, 34, had helped to prevent the escape of a man in his 40s who had touched the thigh of a female passenger on board an SMRT train in June last year. Mr Noh is the station manager of Tanah Merah MRT station. Three other people were involved and received the award as well.